After Grandpa Duggar passed away and before Henry Seewald was born, February was the only month in which the Duggars didn't have a birthday. Now that Tyler, Michelle's nephew, is living with the family, they have another reason to celebrate in February. 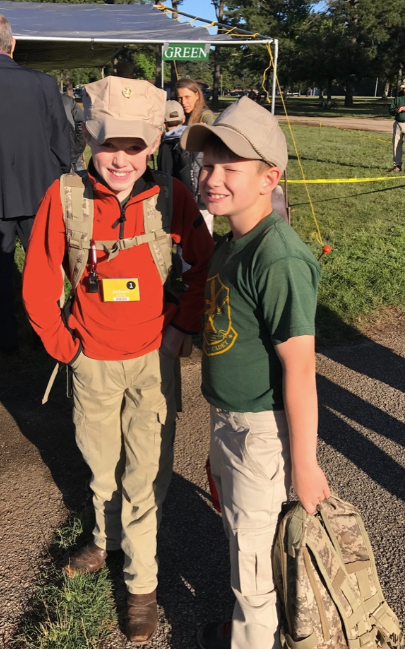 Wishing Tyler a happy 10th birthday! 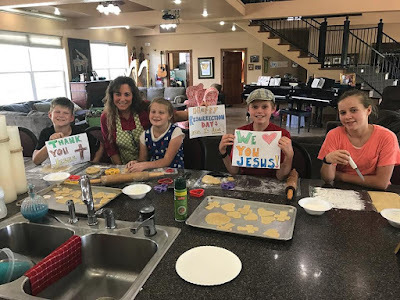 Born in 2008, Tyler is ten months older than Jordyn Duggar and six months younger than Jennifer Duggar, but he has become close friends with 13-year-old Jackson Duggar. 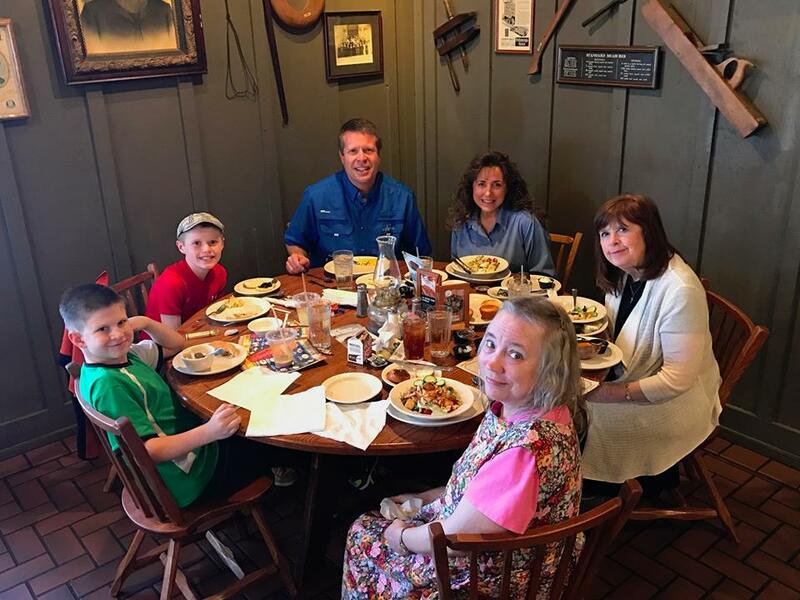 Would the extended Duggar family not celebrate his birthday before he started living with the Duggars? He was grandma's grandson since the day he was born! Tyler is not related on the Duggar side of the family. He is Michelle’s sister’s son. No he isn't. Tyler is from Michelle's side of the family. He is not a Duggar. Isn't he Michelle's sister's grandson??? Well he wasn't living with them before so I don't believe it was up to them to plan a celebration. can you not find one thing right with this family? They took someone in that had no where to go. God bless the Duggars, I wish someone would have done that for me when I need it. Happy birthday Tyler. Enjoy your special day. He's related on Michelle's side isn't he? Tyler is Michelle’s nephew-Grandma Duggar is Jim Bob’s mom. He is not related to the Duggars. He's not grandma Duggars grandson, he's Michelle's nieces son, which is kind of extended family, so they wouldn't be celebrating his birthday. He is from Michelle's side of the family, who live in Ohio. He's not Grandma Duggar's grandson. Wrong side of the family. He is Michelle's great nephew. Michelle's sister, Carol is his grandma. She has a daughter who has had some legal issues. Tyler is her son. I don't believe he is grandma's grandson as he is michelles nephew. On the other hand I think the writer of the post is refuring to immediate family. I think he is from Michelle's side. He’s Michelle’s nephew. Grandma Duggar isn’t his grandmother. 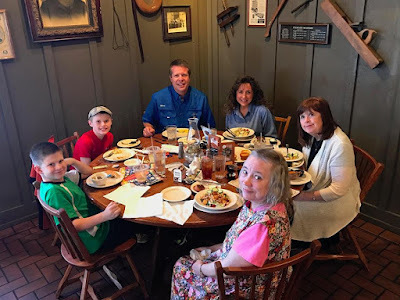 Grandma Duggar is JimBob’s mom; Tyler is Michelle’s grandnephew. So Grandma Duggar and Tyler aren’t relatives but I bet she loves him now the same as if he were related because she is a fine and loving lady. He's Michelle's nephew not Jim Bob's so technically he's not Grandma Duggar's grandson. Not this Grandma Duggar. He is from Michelle ‘s side of the family. Actually he was born the son of Michelle's niece and the grandson of Michelle's sister; not born related to Grandma Duggar. However, he had visited at his cousin's house and gone on activities with them before coming to live with them so he was no stranger. I would not be surprised if Grandma Duggar welcomes him as a 'bonus' grandchild. My mom's oldest sister lived with her in-laws so when I visited, I called my aunt's mother-in-law 'grandma jones', just like my cousins did. It's just a title of respect but also closeness. Truthfully I’m not an advocate of the Duggars doctrine in any way, but it’s nice to see he appears happy. Happy Birthday, Tyler. The only one who knows Tyler ' s future and if he will ever be in a courtship is God. Please be kind to Neddy. I agree with 12:33, Neddys comments are always very sweet. Tyler is NOT Michelle Duggar's nephew. He is the grandson of Michelle's sister, therefore, he is her GRANDNEPHEW. Thank you for pointing that out. The terms nephew and grandnephew (or great-nephew) should not be used interchangeably, or you only create confusion. Hoping to see a growth spurt from Jackson soon! He looks to be about 10 years old too. Hey Guys, ya'll should put Tyler in the header because he is officially part of the family forever and ever. Amen. His mom might not want him in the header. He has not been officially adopted by the Duggars yet. The Duggars have not adopted him so legally he is not a Duggar. They have legal guardianship though. Happy birthday Tyler! Is Carol Tyler ' s grandma? That is my understanding that Michelle's niece is Tyler ' s mother. Happy Birthday! May God grant you the desires of your heart! Happy birthday Tyler! You are a blessing and deserve the best! Hey ellie! Will you add tyler in the blog banner? Why? They are his guardian's but maybe there is a reason they haven't added him. His last name may not be Duggar,for one. Are the Duggars helping Tyler's mother get back on her feet, so she can have her son back? I was wondering the same thing but details are private. All i hope for is a happy well balanced life for him and a peaceful heart. I can't see it easy no matter how loving the environment is. Bless his heart he has had to adapt and grow up fast. Wishing him the best birthday and much happiness for his future. I've been wondering what he is going to be allowed to do, if he turns 18 and wants to go to a state college or leave the Duggars' house. I don't think they could legally stop him, but are they raising him with the same expectations they have for their other children? They aren't giving him the opportunity for public school right now, for starters. Happy Birthday Tyler! Hope you had a wonderful and blessed birthday. Happy birthday to Tyler! Have fun! It’s a generous and loving thing the Duggars have done. Tyler is a part of their family, period. For his privacy and for the privacy of other members of his family I feel it’s inappropriate to debate and discuss this matter on the blog. Wish him happy birthday as you would the others. Then it's inappropriate to debate and discuss anything about any of the Duggars, since they're all entitled to their privacy, too.